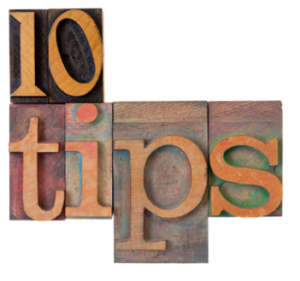 Top Ten Tips For Outsourcing Success! Outsourcing can be a viable option for startups. However there is plenty to consider before determining whether this strategy is right for you. I think you would agree with me when saying that any successful business model of 2014, is one that relies on continual learning and reinventing of its formula. 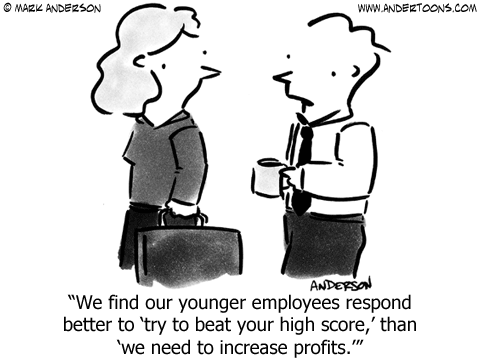 Without that mindset a modern day startup is likely to fail. That is why I’ve outlined the top ten tips for your your business if the idea of outsourcing your products or services has crossed your mind. It’s true. outsourcing can save you both time and money but it is not without risk. When done right you can certainly begin to reap the rewards. 1. Clearly Communicate What Your Project Entails And It’s Timeframe: Let your team know exactly what needs done. Explain your vision, goal and desired end-result. 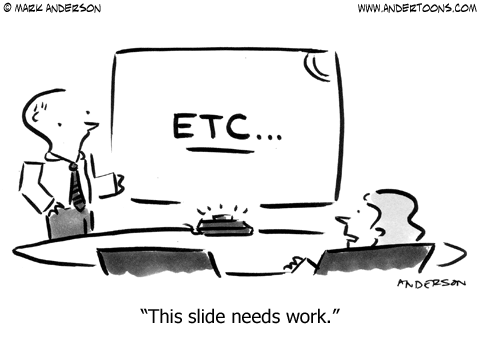 Make sure that the scope of your project is well understood. This will help outline a realistic, actionable plan and related costs. The more your service provider knows ahead of time about your specific needs the better the chances you’ll be pleased with the results. 2. Make Sure You Get To Know The Team You’re Working With: Take a close look at the proposal given to you by your service providers. Ask questions and get all of your concerns out in the open. It is upto you to ensure that whoever you’re choosing to do the job is well qualified and has the experience to complete the tasks he or she is given. That is why feedback from previous clients as well as a face-to-face discussion with your service provider is always a must. 3. Choose Someone With The Know-How In Your Particular Industry: It’s crucial that you and your service provider is aware of what’s expected of them and that they have the credential and professional background to execute the project to your standards. The last thing you want is to become part of some trial and error experiment. 4. Don’t Rely On The Lowest Price: A rule of thumb is, don’t hire cheap labor or the most costly one. It’s best to lend somewhere in the middle, this will guarantee a thorough work ethic and pay off in value and quality of service. You want someone who will work for you and be invested in your success. 5. If Unsure, Ask For Work Samples: You can’t lose by asking for samples of past work or a mockup of what they will do for you. A reliable provider who is genuinely interested in your business will present you with creative solutions to your problem or work with you to achieve your goals. Keep in mind that asking for free work is a no-no, as no professional will do it for free. 6. Think Small: I would advise that to cultivate a level of trust and learn more about your service provider’s style start with a simple task or series of tasks. This will give you a better idea of what he or she can do for you in the future. It will also level off the playing field and give you both a fair advantage. 7. Pay It Forward: Have a plan and check in on the progress of your project Stay in continual discussion about the milestones achieved. This will ensure you remain on schedule and meet your expected deadline. Make a 40% payment with 60% to be paid upon completion of of a series of follow up tasks. 8. Own It: The terms of ownership for the completed work should be discussed in advance. Talk about how the work is to be used along with any deliverables agreed upon. The conditions of such an agreement largely depend on the product or service provided. 9. Before And After: As part of your agreement, include a post project support clause. It should say that you are entitled to additional guidance post project completion. For instance, let’s assume that you want to rethink the overall concept, rejig a strategy or reevaluate your current position. Such a clause ensures that you are covered, should you require further input from your provider. You should also discuss any changes in pricing and overall criteria for such an agreement. 10. Write It Down: This goes without saying. Any agreed upon changes, terms or objectives you discuss should be written down. Keep a record of all forms of communication between yourself and your service provider. Keep any such copies handy. Access to experienced freelancers is right at your fingertips. Outsourcing can help you focus on what you do best and enable you to enter the larger market on your own terms and without hussle. All you have to do is follow these top ten outsourcing tips and you should be on your way to success. If you’d rather hear firsthand from top notch outsourcing experts then join EntreBahn for our first in a series of exclusive events: On June 14, 2014 we will examine the topic of In-Near And Out-Sourcing-Which Is Right For You? Register now before it’s too late to take advantage of our early bird pricing! This entry was posted in Business Tips on May 29, 2014 by Irena Kagansky. There is a lot of negativity in the world today. We are facing major issues of inequality, environmental destruction, poverty and other enormous, hard to fathom problems. Often corporations are seen as the problem. However nothing is ever that simple, and often solutions are found in surprising places. Over at Fast Company, Gwen Morgan has published a great piece about how corporations can change the world for the better. Have a look and be inspired! 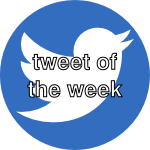 This entry was posted in Tweet of the Week on May 28, 2014 by Irena Kagansky. Today we are delighted to bring you both the first presenter profile for our upcoming Garage to Global Sourcing for SME’s event and a look at our brochure. Join us at the incredible event – register here. The Schulich School of Business and WizOf.biz are proud to begin our series of blog posts, profiling some of the industry professionals who will be sharing their knowledge and experience at our inaugural Garage to Global™ event on June 14, 2014. In 1986, Ron and Heidi Kuus combined their passion for winter sports and opened the doors to KUUS Inc., a leading supplier of ski and snowboard waxes and tuning accessories. Ron Kuus, formerly a competitive ski racer, had a desire to continue his career in the field, and KUUsport has today become an official supplier of ski waxes to the Canadian National Ski Team (Alpine Canada) as well as the Austrian National Ski Team. Holding a patent for the first electric waxing iron (which Ron’s father was the inventor of) KUUS added another pioneering moment by becoming the first company to formulate specific waxes and tuning products for the snowboard market, following with the growth of the snowboard scene in the late 1980’s. today KUUsport is also an official supplier to the Canadian Snowboard Federation. This background in product development and engineering launched the company’s platform in the sporting accessories industry. KUUS recognizes the importance of marketing in the sporting goods industry, particularly on products that centre on customer image. At the time, the main competition in Canada covered European branded products, an area where Ron Kuus saw a niche for his background and education to provide a competitors view of design, function and practicality to this segment of the sporting goods industry. Beginning with only a few products that were initially demonstrated to local sports stores as well as individual account holders, KUUS has now built up more than 800 products which it retails around the world. In just a short time, KUUS’ Mosquito Shield (Insect Repellents) and Knock Down (Insecticide) brands have become emerging category leaders. The brands use only premium raw materials and formulations to ensure the best performance against any competitor product. Furthermore, packaging patents such as a built-in compass and safety whistle bring more added value to the consumer. PROFIT magazine has also recognized the growth and success of KUUS, ranking the company 102nd (695 per cent revenue growth) overall of the 500 fastest growing companies in Canada. KUUS also ranked 37th among Toronto-based companies, as well as sixth overall in the consumer products category. What’s next for KUUS? The company looks toward the lucrative American market as its next entrance, seeing plenty of opportunities for its products in the United States, which offers one of the largest consumer, industrial, agriculture, farm and food processing bases for pest control. Although the company has demonstrated an exceptional ability to gain traction and overall market share, the American expansion plans aren’t too immediate, as KUUS first wants to solidify its presence in its home Canadian market. The Kuuses have made smart choices in sourcing not only their their materials and production, but also their international expansion. There’s one week left to enjoy Early Bird savings of $100 in registering to meet and benefit from the real-world wisdom of successful Canadian SME owners such as Heidi and Ron. Please return for more profiles in the days ahead. This entry was posted in Garage to Global on May 23, 2014 by Irena Kagansky. 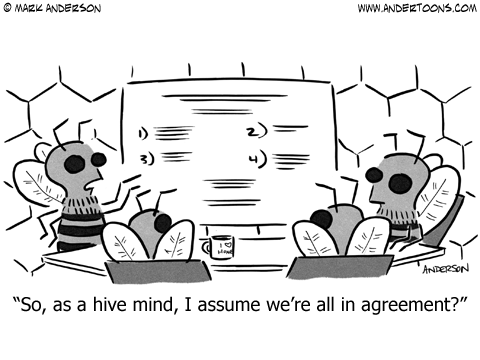 Keep the discussion alive everyone and avoid that hive like group think! This entry was posted in Friday Cartoon on May 23, 2014 by Irena Kagansky. In-, Near & Out-Sourcing –Which Is Right For You? Do yourself a favour and Mark July 14, 2014 on your calendars! Why? Because we’re getting ready for our first, in a series of four all-day business networking events you won’t soon forget! The Garage To Global: Sourcing for SMEs events hosted by EntreBahn will be set up much like speed dating for business professionals , SMEs and entrepreneurs. While at the event you will have an exclusive opportunity to hear from multiple presenters each of whom will join your group in an intimate and engaging roundtable Q&A session. At the end of each session, the presenters will continue to play musical chairs by making the rounds through other tables of attendees throughout the day. This unique format is meant to encourage active participation and a facilitate discussion in a relaxed environment. Morning and afternoon coffee breaks plus a delicious lunch will also be served. 1. In-Sourcing, Near-Sourcing, and Out-Sourcing –Which Is Right For You? 2. Financing Outsourcing — What Financial Options Do You Have? The speakers at our first event will discuss their experiences in deciding whether a project should be in-sourced within the company, near-sourced to others nearby or out-sourced to businesses abroad. One of the objectives of the event is to encourage you to think critically when considering these options in growing your business. As a participant you will have a chance to share ideas, find answers to your business questions and connect with others in the industry. Spaces for this exclusive event are limited and our early bird offer won’t last long! So for more details or to take advantage of this opportunity register here now! This entry was posted in Announcements, Business Tips, Outsourcing on May 20, 2014 by Irena Kagansky. This entry was posted in Friday Cartoon on May 16, 2014 by Irena Kagansky. All businesses can benefit from creativity. Whether that is in marketing, technique or innovation, fostering a creative workplace is important and often difficult. Orna Ross brings us today a great Huffington Post article on 10 things that creative people do. Happy reading! This entry was posted in Tweet of the Week on May 14, 2014 by Irena Kagansky. Great presentations are often super important and super stressful. Get some advice. This entry was posted in Friday Cartoon on May 9, 2014 by Irena Kagansky. A simple message that resonated with us this week. Enjoy! Are you worried about where you are, or focused on where you want to be? This entry was posted in Tweet of the Week on May 7, 2014 by Irena Kagansky. Organizing an event or corporate function can be a drag. Particularly when you’ve put so much energy into ensuring that everything goes without a hitch. Of course you want your invitees to have a fantastic experience that is why proper planning and promotion are crucial when it comes to guaranteeing the perfect event. 1) Use A Personalized Marketing Strategy: Make sure that all of your communication materials including layout, language and design are tailored to the overall purpose of the event and that it’s fitting with your guests style. Your objective is to meet or even exceed expectations when it comes to organization, professionalism and pizzazz! 2) Have A Call To Action: Neglecting to include a call to action is fatal when it comes to events. Create a sense of urgency and excitement about what you have to offer people once they are there or give a few convincing reasons why they should register for your event right now. Your call to action should make folks feel like they simply cannot afford to miss out on the amazing speakers, suprises food and wine Let them know exactly what they’ve got to lose by not showing up. 3) Name It Like A Pro: Think about what you want to achieve through your event. Is it a Casual Fridays co-worker hangout, a professional networking mingler or a sophisticated cocktail party for business clients. Either way, keep the name of your event short, intiguing and sweet. 4) Set A Date: Don’t obstruct the date of the event by using unreadable fonts. The date and time should be strategically positioned and be clearly visible. It’s also a good idea to let people know what to expect when they arrive as well as well as any amount of participation that may be expected of them as attendees. 5) Location, Location, Location: Include a complete address with postal code, instruction map and parking info. Most of us enjoy being take care of and even the simplest details can make a world of difference. 6) Welcome To The Price Is Right: Include the price of the event and any hidden fees. No one likes being shocked by extra costs they did not anticipate. 7) Licence & Registration: Provide a hassle free way for people to register for the event. One of my personal favorites and one I use quite a lot is EventBrite; quick and painless. Indicate a contact name of someone who can answer any additional question or concerns. You might also use Survey Monkey to get additional feedback on your event. 8) Wining & Dining: Food is one of the main attractions of any event. Whether it’s classic well presented h’orderves, a glass of wine or an elegant dinner plate, you can’t go wrong with great food. 9) Social Media Is In: Social media the crap out of it! #Hashtags, Facebook gives attendees to connect online, pose more questions, have a discussion and keep abreast about future events. It’s also a fantastic way to get people talking well before the event before the event has even started. 10) Testimonials Please: Any testimonials from previous event attendees gives you an edge and boosts credibility. 11) Sponsors: Your sponsors deserve a proper introduction. Display their logos and business info whenever possible. 12) It’s A No Go: Always give details about cancellation policy or fee. This entry was posted in Business Tips on May 5, 2014 by Irena Kagansky.